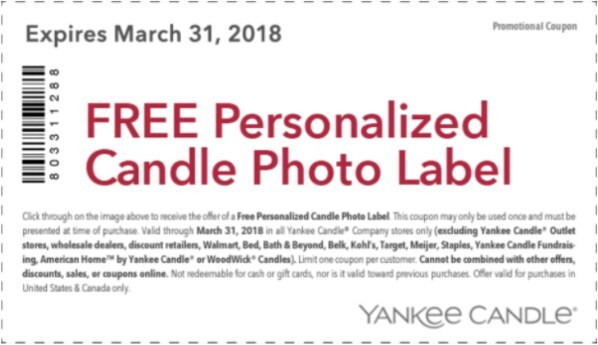 Score a free Yankee Candle Personalized Photo Candle Label with the coupon. The label can be redeemed in-store only. Then head to a Yankee Candle store to redeem the coupon before 3/31/18. * US only. Coupon terms may vary. In-store only.